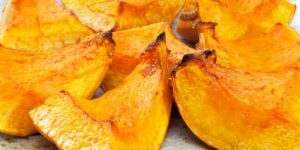 Although many new cooks are intimidated by cooking with them, pumpkins are just large squash. Preparing them for use in recipes is simply a matter of slicing them, scooping out the seeds, and baking them. Once baked, the meat can be scooped out and puréed for use in pies, mousse, trifles, and more. 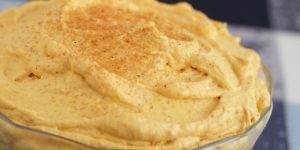 This delicious and light dessert would also be a good filling for a no-bake pie in a graham cracker or crushed gingersnap crust. Another festive idea would be to use it as a filling for Pumpkin Parfaits and layer with crushed gingersnaps and whipped cream. Pumpkin Rolls are hands-down the most requested dessert at our holiday table. 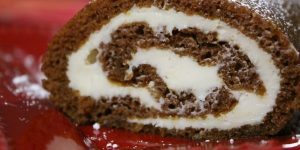 The creamy filling combined with the spiced cake are a fantastic combination. If your family is like ours, one won’t be enough! This pretty pumpkin bar not only tastes great, but it brings the look and taste of fall to the table. Don’t make it too far in advance as it’s best served within a day. Not sure what to do with all of the pumpkins you brought home from the family visit to the pumpkin patch? 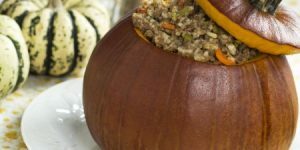 Try this festive fall recipe for a hearty beef and rice combination baked and served in a pumpkin. You can either make one large pumpkin or multiple smaller pumpkins if you prefer individual servings. To Roast or Not to Roast!